The course will present the following topics. Some knowledge about multivariate methods is an advantage but not a requirement. Frank Westad received his M.Sc in Chemistry and Data analysis in 1988, and completed his Ph.D. thesis Relevance and parsimony in multivariate modeling in 2000 with the Norwegian University of Science and Technology. 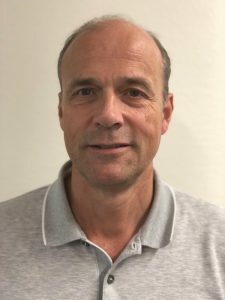 His working experience over the years includes positions as Research Scientist with SINTEF, Consultant with IDT Gmb and Senior Research Scientist at the Norwegian Food Research Institute (NOFIMA) and GE Healthcare. His experience also includes numerous scientific papers, presentations at international conferences and teaching statistics, chemometrics and multivariate methods for the industry. Frank holds the position of Chief Scientific Officer at CAMO Analytics. He is also an adjunct professor in the Department of Engineering Cybernetics at the Norwegian University of Science and Technology. What is your relation to chemometrics? (Active, newcomer, etc. )· What are your favourite methods of data analysis, and why? I was first exposed to chemometrics in the late 80’s, and thus have a long history in the field. I am still an ambassador for our philosophy, partly as a professor at the Norwegian University of Science and Technology. sensors. The latent variable methods are my favourites as they provide interpretation of underlying structures. How do you see the future of chemometrics? The future looks bright! The number of on-line sensors in the era of IoT will increase in the years to come. We have the tools needed. The money lies in the production! We need to stay focused on the domain specific knowledge in combination with interpretation from our chemometric methods. We also need to focus on education. Still, only a few students within science learn about the concept of multivariate calibration and that selectivity is not needed to observe processes. Not to mention proper validation! What do you look forward to at SSC16? Interact with other attendees, stay tuned to the latest developments w.r.t. methods and applications and discuss how chemometricians should face the challenge from the AI/Deep Learning communities.